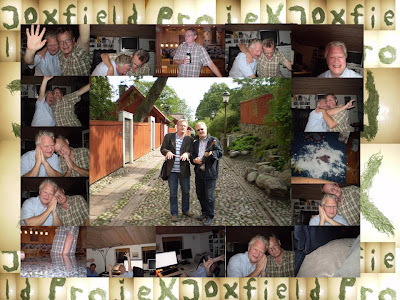 THE LONG TIME WITH JOXFIELD PROJEX’ WHIMSICALLY AND MINDSPLITTING MYSPACE BACKGROUND HAS COME TO AN END. 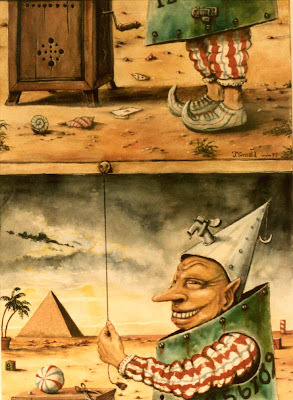 ONE OF OUR FAVOURITE PAINTERS AND COVER ARTISTS, JAN TERNALD, HAS GENEROUSLY CONTRIBUTED WITH AN ORIGINAL WATER-PAINTING FOR US TO USE. 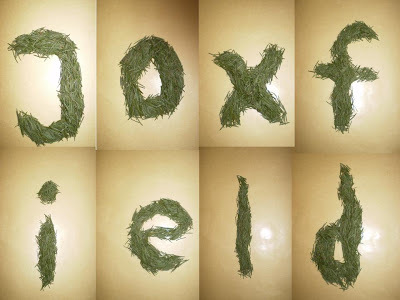 FOR US ‘FLEPOTRAL ZEN 2’ VERY WELL SYMBOLIZE THE INNER MEANING OF JOXFIELD PROJEX’ MUSIC: YOU DON’T KNOW WHAT’S UP OR DOWN, AS WELL AS YOU DON’T KNOW WHAT’S IN BETWEEN OR WHAT WILL COME NEXT. Yesterday when I was trying to chose an old LP for my even older grammophone to play I suddenly found a piece of a newspaper page inbetween the LPs. 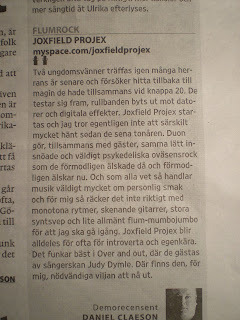 The day of publishing was 19/1 2008 and it was a review of Joxfield myspace player tracks a year ago. Yesterday, when mentioning to Son # 3 that the old guy of the group had his birthday, he said something nice about when Dr Y visits our home and he and me just sits (hmmm) in the sofa, drinking some beer and/or whisky and/or cognac, listening to some music (= Joxfield ProjeX) at high volume, saying nothing. Some sort of nice lifetime review, I guess. Four days ago our hero Patrick McGoohan past away at the age of 80. 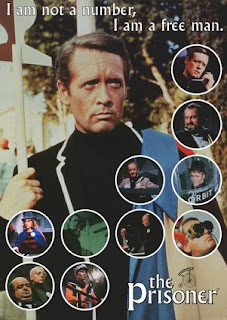 First we learned to love John Drake and after that this 1968 fenomenal cult serie The Prisoner. Late last autumn I got my hands on the serie and started watching it and today I watched Episode 7, sort of celebrating mr PM. RIP. But there are more positiv things to celebrate. As birthdays. So today the youth of the group raises his glass for a toast to Dr Y, the old guy of the group. 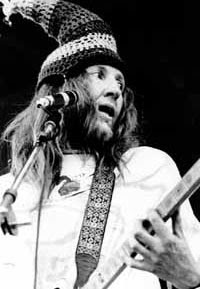 There's been so many of our past and recent heroes that has flown away, but, for once we really would like to celebrate one of our true living hero celebrities, Mr Pot Head Pixie himself, Divided Alien, Daevid Allen, on his 71st Birthday today. Don & Mac of Ambient DarkWhite? The rumoures says the secret guys Don & Mac finally has been uncovered. Anyway, looks like two maybe a bit perculiar but at least nice guys. Hard time being a Xmas tree when the good times are over. The tree's a bit shy and ran away..
.. and left all the clothes. A new year - New activities. Today I was in the choise of either undress/undecorate the terrible and sadly looking Xmas tree or starting with some new musical activities. The tree will be something for the weekend. The workingtitle for the tune is 'Phantastique' and is something Yan want me to start with to save some old, unused basic patterns from disappearing in smoke. And, as always, I do as he says (?!?!). Let's see what I can do about it. I order loads of files from him and then add it into my Cubase and from that point the creative act starts: Samples, additions, playings, more new files ordered etc. And what about Culchurch - The Richness Of Culture? 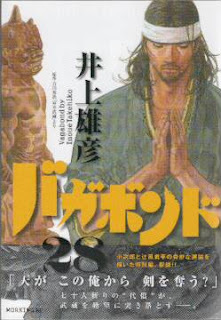 Yesterday I finnished reading Haruki Murakawi's novel 'Kafka On The Shore'. And I must say: WOW!!! What a book! Of course it's no good idea trying to nominate The Best Book Of 2009 on the 8th of January, but it wouldn't surprise me if it will be in that way. Check it up, read it, read more by Haruki Murakawi, it really will bring richness to your cultural life. When I Google it I find only 4 matchings. Places or companies. None of them right. When I first saw the word it was in an essay book by Ezra Pound some 20 years ago and he (or the translator) had constructed it from the words culture and church meaning that our relationship to culture sometimes was a bit too devotional. Maybe he was right, I don't know. For me culture maybe isn't religion, but at least it brings me the same qualities of having a temple within as for those who believes. God as culture or Good culture? Just a little 'o' letter differs, a little 'o', like a mouth opened by astonishment. I think the book was 'Culture, essays' (1938), btw. 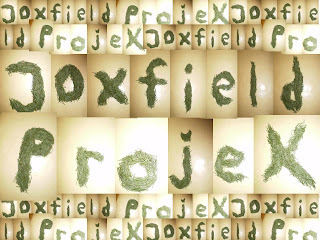 If Joxfield ProjeX is culture or culchurch we don't know. 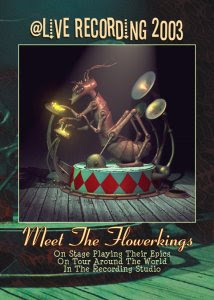 It's fun and hard work doing the music, fun listening to it while we drink beer and/or whisky. We prefere calling it art in general and thereby avoid the definition of what specific 'art' is. At least something creative and useful you can do when all the bloody needles of the Xmas tree suddenly falls off. Another morning. Looking out of the kitchen window finding the weather being grey and gloomy. On a day like this I don't care. 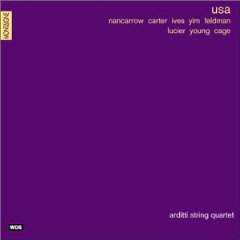 I love Mats Gustafsson's powerful playing and his good taste of putting himself in the best musical enviroments, as here with this expanded trio. A lot of Free Form Music is supposed to be 'dufficult' listening to, but that's crap - just open up your ears and let it in and it will do the job itself. On the contrary, a lot of 'easylistening' music is really difficult to listen to - it aches all over me. There is something to tell. Yesterday, on the first day of The New Year I had to work, I was on duty (and still is). The alternative everyday "have-to-earn-some-money" life job. The situation made me go by car for about 200 kilometers to another hospital in the region, do the job I had to do and then go back the 200 kilometers again. A lot of time in the car driving through winter landscapes. And as always during these situations I was loaded with music I brought with me. 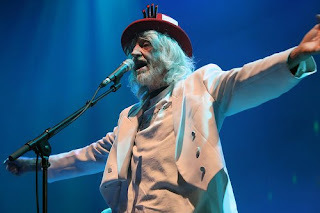 It use to be Joxfield (of course), otherwise Hawkwind or some other nice stuff. 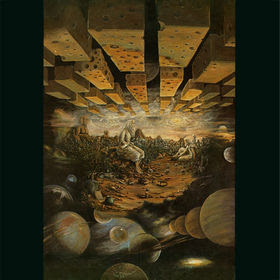 This time 'the other stuff' was Chicags III, originally a double LP (now a single CD) from 1971. And while listening to it, especially the first four tracks of what was the first LP side, my mind started spinning and I realise that once this was a very important band in my develpoment as a music lover and listener. 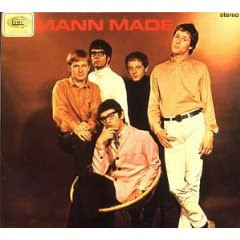 In spring 1970, as a fifteen years old youngster, at a disco at school the DJ played a terrific version of a cover of Specer Davis Group's I'm A Man. What was that? It was a single and in the middle of the long song the DJ had to turn from side A to side B to continue. I had to ask. What was it? 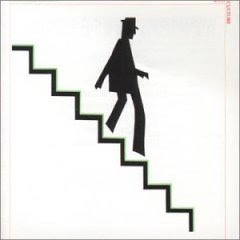 Chicago Transit Authority, he said. A couple of days later I tried to find it in the record store. No success. It was out of stock, but there was an alternative version, a radio edited one, shorter. I bought it. 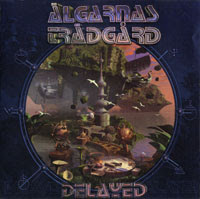 It was still very good, but not the same as the extended, long LP version. And it had some strange track with horn arrangemants on the B-side. 'What the heck!'. 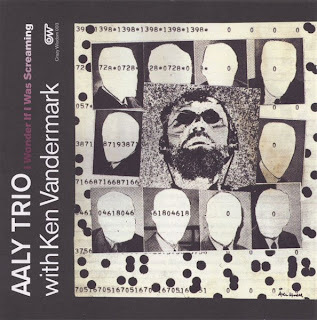 A record filled with horns and jazz and stuff, not what I expected. Not what I use to like. Anyway, through the listening I realised there were some really good moments and as I continously listed to it more and more I also started liking it more and more. My ears was opened up for brass arrangements, jazz solos and stuff. 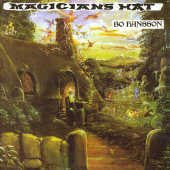 This was good - really good, and I still consider this particular recprd being one of the Top 100 Albums of all time. 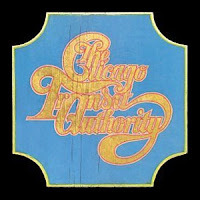 Soon I laid my hands on their first, Chicago Transit Authority, a lot of jazz, but also a lot of Terry Kath, one of my favourite guitar players, a sadly underrated one, maybe because of his too early death. 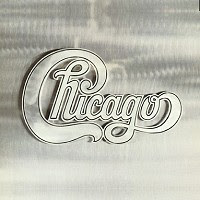 In spring 1971 I bought Chicago III (their third double LP in a row). Still a very good record, but there was some weak moments, some fillers. 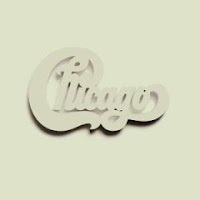 My Christmas gift # 1 for 1971 was their fourth release, Chicago IV - Live At Carnegie Hall, for the first time not a double LP release. It was a quadrouple. Four LPs in a huge box filled with pictures, books and stuff. Live recordings of most of their stuff, a lot of close-to-the-originals versions, but also tracks really extended, especially the ones where Terry Kath spread out his guitar wings. Summer 1972 they release V, a single LP. Short tracks. Nice radiofriendly pop music, a step in a new (well, new and new, let's say: another) direction. A couple of tracks was ok, I bought it, but soon I stoped playing it. It was actually a bit boring. And after that Chicago went into The Land of AOR and I definitely lost interest. 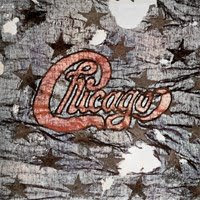 But, looking at history, between april 1969 and october 1971 they released four excellent albums, all important to me, albums I still come back to every now and then and listen to, expecially Chicago II, their true masterpiece.